The Premier oahu roofing contractor says, "Aloha!" ​Discovery Roofing always gives the most value for all your roofing needs. Always give the customer more than they pay for our services. Paying Attention to details from start to finish. A roof repair that is done right the first time. Wood rot or termite damage repairs that is painted with primer and not left as raw wood. A clean property after roofing repair and/or roof replacement. We have been serving businesses and Island residents for 27 years and have a total of 34 years of roofing experience. Our commitment to provide you with all the latest information on the different types of roofing materials available is our number one priority. Many times, homeowners ask us to give them a ball park price based on the square footage of their roofs. We do not give ballpark pricing because every roof has a different circumstance. We prefer to come to your residence and cater to your roofing concerns. Get a close assessment of your roofing situation and only then...give you and your family an honest opinion on your next steps. An homeowner called us to give him an estimate to replace his roof. We assessed his roof and discovered that his roof was still in good shape despite the roofing material's age. Our recommendations was to repair his existing roof, instead of having a complete roof replacement done. We Gave him an approximation of years left before he needed to replace his entire roof. He was so over joyed that we saved him money. After the repair was completed, he got everyone a plate lunch to eat. We were happy that he was happy and our stomachs were really happy. This is why we would rather come and take a closer look at your roofing circumstances. We might be able to save you money too!!! Having three layers of roofing material on your roof, will require three times the labor to remove the roofing materials and three times the amount of rubbish to dump. This is another reason why we do not give estimates over the phone. Sometimes homeowners don't know how many layers of roofing material is on their existing roof. We always prefer to assess your roof with a magnifying glass to make sure we have crossed the T's and dotted the i's before we give you our honest opinion about your particular roofing circumstances. The pros and cons of various roofing systems. The cost associated with each roofing system. To learn more about the pros and cons of the different types of roofing systems, click here. There are many factors to consider when deciding which roofing system will be the right one for you. How long are you planning to call this your home? How much is your re-roofing budget? ​What kind of environment is your home located in? ​The cost associated with each roofing system can be determined by calculating the life cycle costs of a particular type of roofing system and comparing it to various other types of roofing system's life cycle costs. Initial up-front cost of the particular roofing system. The particular environment you live in will determine the expected life of your roof and plays a major factor in the life cycle cost of any roof. A twenty year timeframe is a good timeframe to use because most homeowners expect their roofing to last that long. ​Energy efficiency of your roofing system... over a twenty year period the energy savings is a factor to consider. Roof maintenance cost over a twenty year period. Re-roofing cost before the twenty year period...Some roofing systems will not last for twenty years. Here is an example of a comparison of a Silicone Roof Coating system versus a torch on modified bitumen roofing system. In this example, I will use a two thousand square feet roofing area. The initial cost of the torch on modified bitumen is $9,500.00 and the cost of the silicone roof coating is $9,000.00. Not really a major difference in the price, right? If you look at the life cycle cost of each system, there is a major difference in the price. The silicone coating life cycle cost is $7,000.00 based on energy saving cost of $20.00 for 5 month of the year multiplied by twenty years. The torch on modified bitumen life cycle cost is $19,000.00. Initial cost of $9,500.00 plus re-roofing cost in 15 years of $10,500.00 minus the energy cost of $1,000.00 assuming you picked a lighter color roofing material. The results of determining the life cycle costs can make a major difference in your roofing budget. Looking at our example, your initial savings was a difference of $500.00 and the difference in life cycle cost was $12,000.00. Now that is a big difference!!! A lot of residents on Oahu has asked us the same question over the years about honoring the warranties of their roofing systems. Since we have noticed a pattern about warranties.... let me clear the air on this subject. All roofing manufacturers gives the homeowner a product warranty against manufacturers defects. This warranty does not include normal wear and tear on their product, nor does it not include any acts of God or natural causes. Makes sense,right? Well let's take the asphalt shingle product warranties and use it in this example. Homeowner buys an asphalt shingle roof that has a thirty-five year warranty on the product. Fast forward twenty years...his roof needs to be changed. He tells us that the roof was supposed to last for thirty-five years. Here's where we need to question who sold the homeowner his roof and did the sales person explain to the homeowner the fine line between warranty years and the life of the asphalt shingle. Here's where we have learned and grown over the years about carefully explaining to the homeowner the differences between the life of the product and normal wear and tear versus the warranty against manufacturers product defects. This is a common misconception that a lot of roofing companies overlook to explain to residents. The whole truth in the matter is that if you live in an area where the temperature is dry and doesn't change much from day to night and during the year, your roof will last a longer time, than if you lived in an area that is so hot in the day and cold at night and rained a lot during the year. People who live in Ewa Beach or Kapolei will see a longer life on their roofs, as compared to people who live in Mililani Mauka. A general rule of thumb is on Oahu an average life of a thirty year warranty asphalt shingle is about twenty years give or take a couple of years due to location. A fifty year warranty roof in Oahu would probably last forty years. Honestly all the fifty year warranty asphalt shingle roofs we have installed are still really good. Take note that we have been around for 24 years. so, the fifty years warranty of forty years is just an estimate. 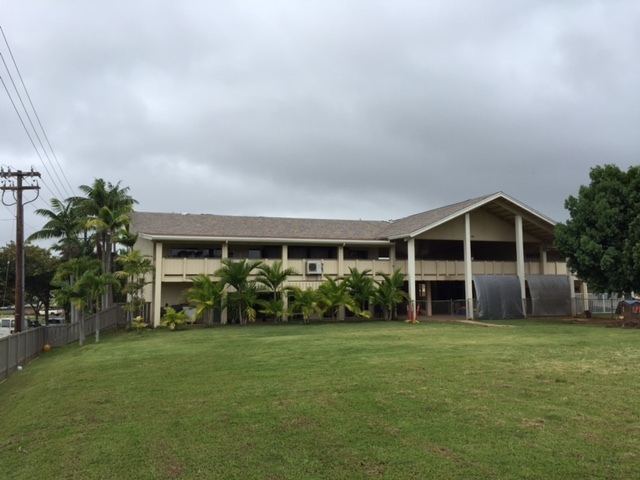 Here at Discovery Roofing on Oahu, our goal is to educate and inform you of all things "ROOFING". Here is a roofing law change that most people don't know about. According to the International Residential Building code "R-905". This code is what the State of Hawaii also follows. The code states that a residential roof is allowed two layers of roofing material max. Back in the day, three layers of roofing material was allowed. If a building inspector sees a three layered roof, he may ask the homeowner to remove one layer of roofing. ​ 1. If you notice the shingles curling up. rise some concern because nails that hold down the shingles are exposed and could possible leak. 4. Missing asphalt shingles on the decking of the roof. 5. Taking a look at the roof on all sides, if possible to see if it looks wet and thin. This is a sure sign that the roof is aging. Is the Oahu roofing contractor properly licensed, insured, and bonded? A roofing contractor that is licensed will have a specialty contractors license. The specialty construction license starts with a c followed by a number. If the company is licensed, they will be insured with both workers compensation and liability. They will also be bonded. You may also go to: www.businesscheck.hawaii.gov to check if the company is properly licensed. How long has the Oahu Roofing Contractor been in business? You may look at the various contractor's license to compare the age of their company. The lower the number is after the letter c, the longer they have been in business. Does the Oahu Roofing Contractor have any complaints filed with RICO? Just copy and paste this link to your address bar. When you are at the site, type in the word roof in the search box and you can see the complaints on all the roofing companies. Does the Oahu Roofing Contractor have any complaints with the Better Business Bureau? You may go to the BBB website at www.bb.com and check if the business has any complaints with the BBB and what kind of rating the company has. Answering these questions will help you to decide which roofers will be the right choice for your next roofing project. Do You belong to a homeowners association? Do you belong to an homeowners association? If so, we will assist you with the approval process. We will get the proper design application forms for your particular Association, supply them with any samples that are required to get the application approved. Note: Not all Associations work with a licensed contractor. In these cases, we will assist you with any roofing samples that are required. We are a Malarkey Roofing Products "Certified Residential Contractor since 2015". This will ensure all roofing warranties were done by a certified licensed roofing contractor when using the Malarkey products. We do offer Certainteed, GAF, and other brands of asphalt shingles that also carry all warranties for their products. ​Discovery Roofing on Oahu... discover the difference We have a ton of experience with commercial buildings, as well as, residential homes. We ensure every project...both residential and commercial are done with precision craftsmanship and finish the project with perfection. Paying attention to details is always a priority to us. We use a Magnifying glass to make sure your roofing is done with perfection each and every time. Property Management companies depend on our prompt response time to emergency calls. We also work with General Contractors with new residential homes, renovations, and extensions to the existing structures. 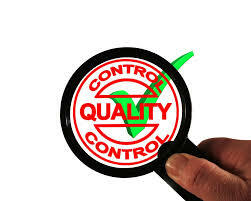 ​Discovery Roofing will give Island residents and commercial properties a FREE assessment of their roofing structure. Let us know how we may be of excellent service to you.